After that, I wanted to put on the map places, where I was studying and working. For this I needed nice icons. I found it in the Internet as SVG files. If you want to put into QGIS an icon from another source. You have to create a new points layer, and in the properties use symbol layer type as a SVG marker, and use symbol, which you saved before on your PC. When I finished, I opened new print composer to export my map printable. I added the name to the new composer, and it opened a new empty window. On the right side in the composition I chose landscape orientation. On the left side I chose the option Add new map, and selecting the area I wanted to show the map. I left some empty space to have a place to put more personal information. I exported my map as image. I finished work with my CV in Inkscape which is a vector graphics editor which is free and open source). I made there popups and some descriptions. To create popup I simply used Create rectangles and squares tool. With right click, I could choose Fill and Stroke, to change color and transparency. After this I wrote a description. I selected both – square and text, and in a main menu I chose Text -> Flow into Frame. 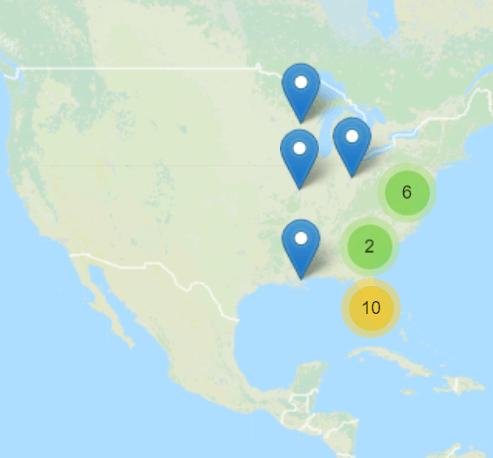 I used straight lines to connect popups with places on the map. Thanks Riccardo Klinger – father of idea! 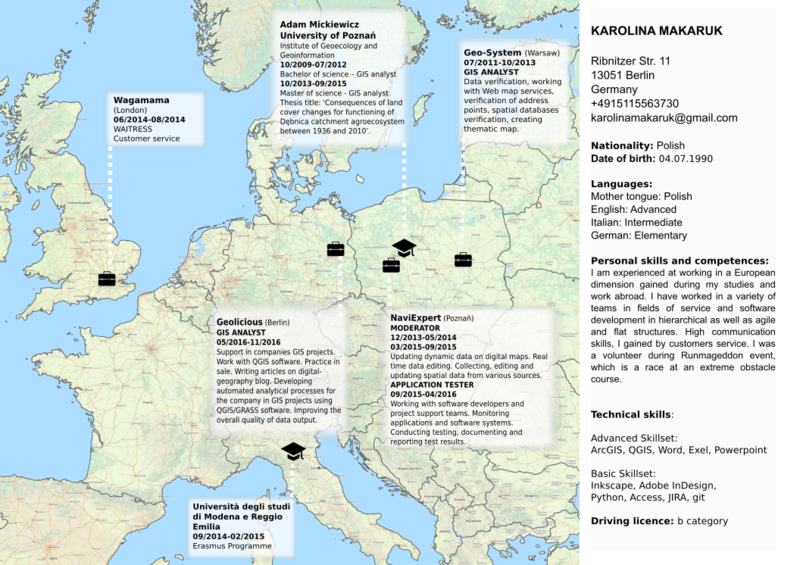 Here you can find a PDF with my map CV.